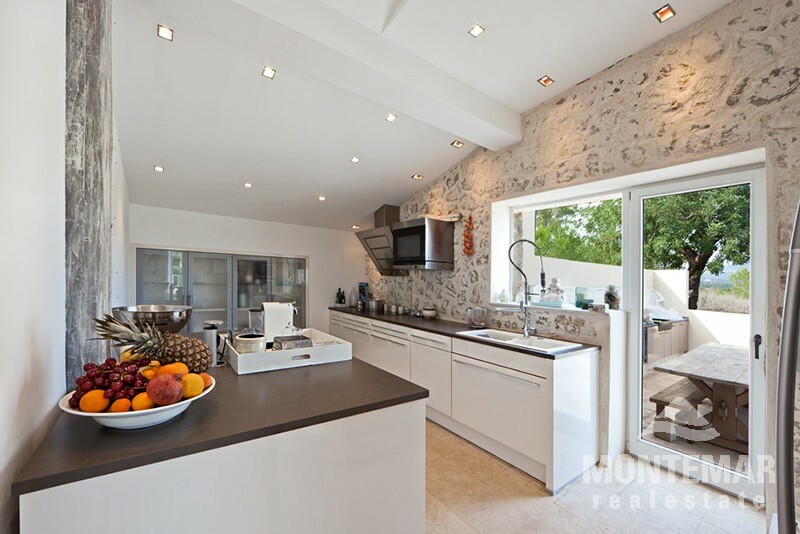 This natural stone house is situated on a 12,329 m² of land, away from street and city noise, and was completely renovated in 2009 and tastefully refurbished in a contemporary style like in an oasis. Surrounded by nature, it offers complete privacy and panoramic views over the island's mountains and olive and almond groves. The luxurious finca has been extensively modernized with quality materials, however, the Majorcan charm has been preserved. 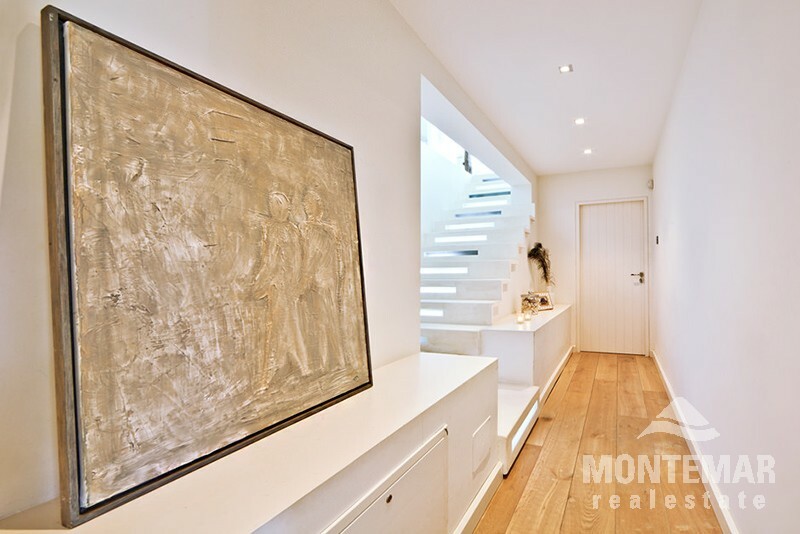 There is a utilizable space of approximately 300 m² with 3 bedrooms with ensuite bathrooms, a spacious open living area, guest toilet and a high-quality fully equipped kitchen. Furthermore, there are parquet floors in the bedrooms and the living room and natural stone floors on the large and bright terrace area. Plenty of outdoor space in conjunction with a fully equipped summer kitchen and stunning views of the countryside make this house a perfect combination of living and lifestyle. The property consists of main house, small guest house and garage building. A pool can be built. The living area is still expandable. For further questions we will be happy to answer your questions. Other features: underfloor heating, alarm system, electric gate, fireplace, air conditioning (h/c), wifi, own power and own water source. 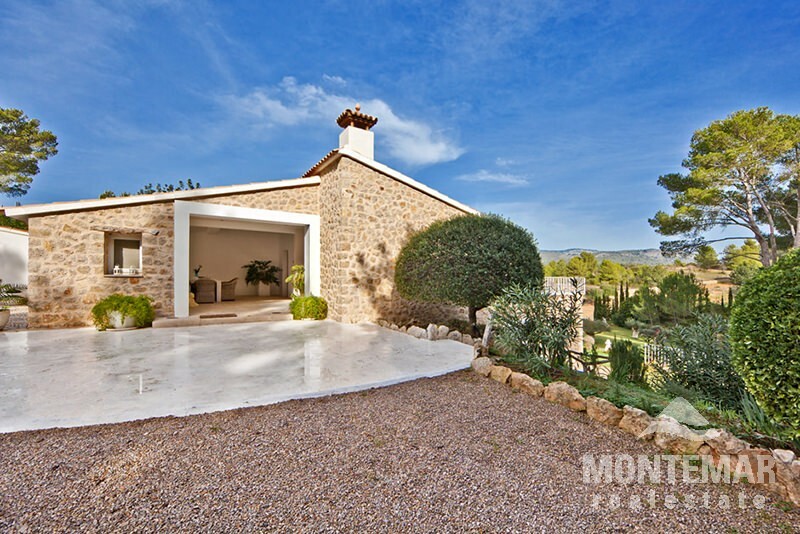 This romantic stone country house is strategically good located between Calvia and Santa Ponsa, in a quiet area with good access to Palma and in the southwest. Only 3 minutes are needed in the village center of Calvia, international schools, airport, beaches, marinas and golf courses are only 10 to a maximum of 20 minutes away by car. This Finca is situated at the end of a private road with beautiful panoramic views over the mountains. An ideal place for those seeking a quiet retreat, which is, however, yet close to civilization. Though the place itself is hardly influenced touristy and the immediate surrounding area is ideal for hiking.